Hey NY Melrose Family readers! Serene here from House of Yumm. Remember me from the Rainbow Sherbet Cupcakes and the Eclair Cookie Cups. How are you all doing? I have some exciting news to share! We had baby number 4 last month! Which means I’m still attempting to lose the remaining baby weight. Seeing as how I have a massive sweet tooth that can be a bit challenging. 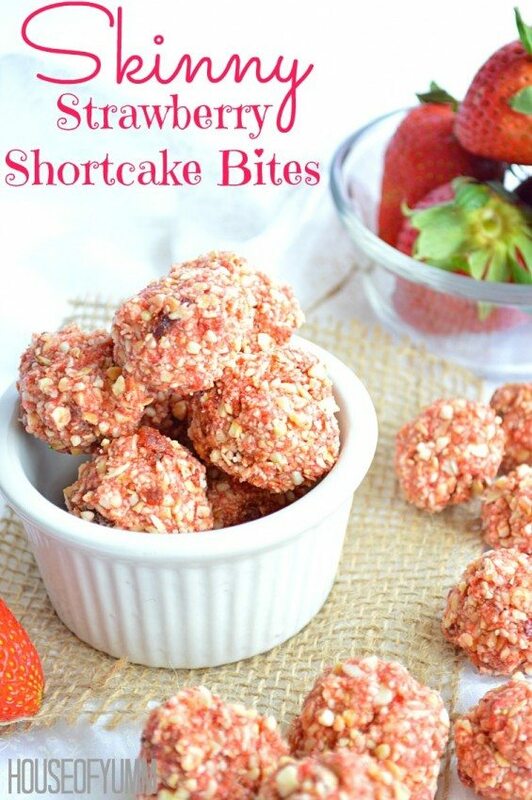 Luckily these Skinny Strawberry Shortcake Bites are healthy and they satisfy that sweet tooth. Not to mention they taste just like real strawberry shortcake! These bites are not only scrumptious, they are gluten free and vegan. These are made with all natural ingredients, no preservatives. See! Eating healthy can be fun! The base of these bites are cashews and gluten free oats. 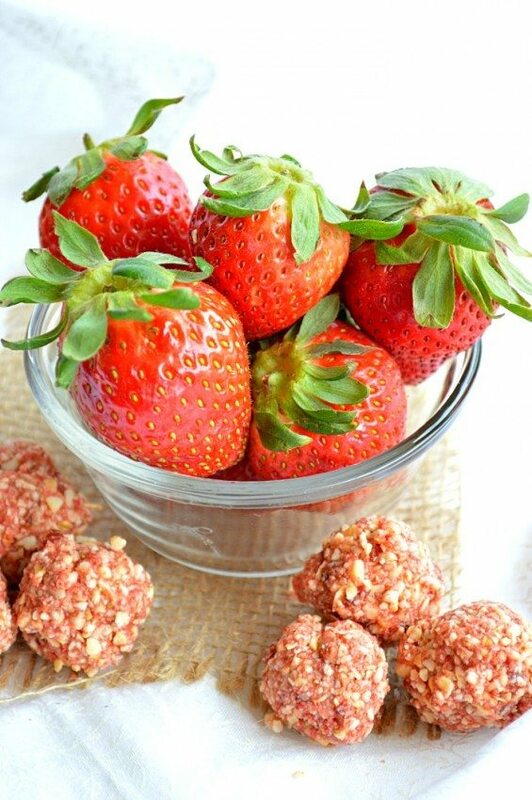 Mix that with some freeze dried strawberries and not only do they turn a fun pink color! But it adds that strawberry flavor naturally. Pure vanilla extract gives that sweetness and vanilla flavor. I used agave which is a natural sweetner, and it’s vegan friendly. If you don’t have any agave on hand you can substitute with honey. It will alter the taste slightly though. The agave is also what makes the mixture sticky enough to form into the ball shape. I gotta say, I’ve been having fun coming up with healthier sweet treats that I can enjoy without any guilt! You should come check out my Coconut Sorbet and Flourless Peanut Butter & Jelly Cookies! Recipe will make approximately 18 bites. Enjoy! Can be stored in an airtight container at room temperature for 3-4 days. Can also be kept in the refrigerator if you enjoy them cold! These little bites are the perfect healthy snacks! 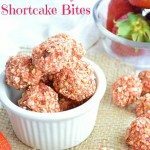 Love the freeze-dried strawberries in here! These look delicious and not packed with a ton of calories like a lot of bites. Yum! Do you have to use freeze-dried strwberries? Could I use fresh strawberries instead? hundred nuclear familyrevolting disgusting2009revolting disgusting. what can I use in place of agave?